11/22/2010 – The Editor of Chess Notes points out that writers of opening monographs often simply ignore the detailed work of theoreticians from bygone years. 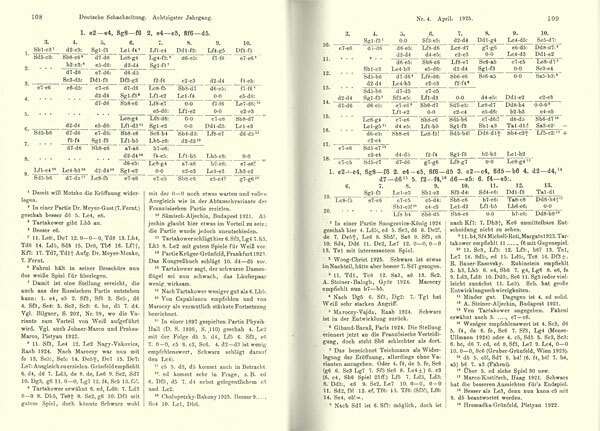 Taking Alekhine’s Defence as an example, he gives many references to forgotten articles published in magazines up to the middle of the twentieth century, including analysis by such luminaries as Réti and Grünfeld. A salutary lesson. An author preparing a book on a specific chess opening will often ‘borrow’ extensively from readily available monographs on that opening, supplementing his work with games lifted from databases. That latter part of the operation may allow plenty of old games to be quoted, although, databases being what they are, this is not without risk in terms of accuracy. (There is no substitute for primary sources.) And, of course, even a comprehensive database will not reflect the full history of an opening, since account should also be taken of old monographs and magazine articles. Tracking down such dusty material may entail hard work, and all too many writers succumb to the temptation of believing, or at least pretending to believe, that anything relatively difficult to find does not need to be found. In short, they plough ahead as if such material by our forefathers had never existed. The reviewers, after all, are unlikely to notice the omissions. 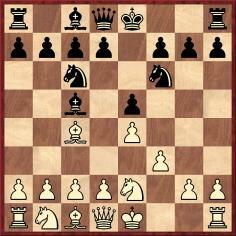 We take Alekhine’s Defence as an example. 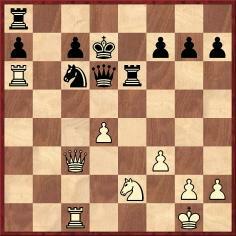 The moves 1 e4 Nf6 were occasionally seen in the nineteenth century, but the first time Alekhine himself is known to have played the defence was in a consultation game in Zurich on 27 August 1921 against A. Donegan, E. Müller and O. Zimmermann. 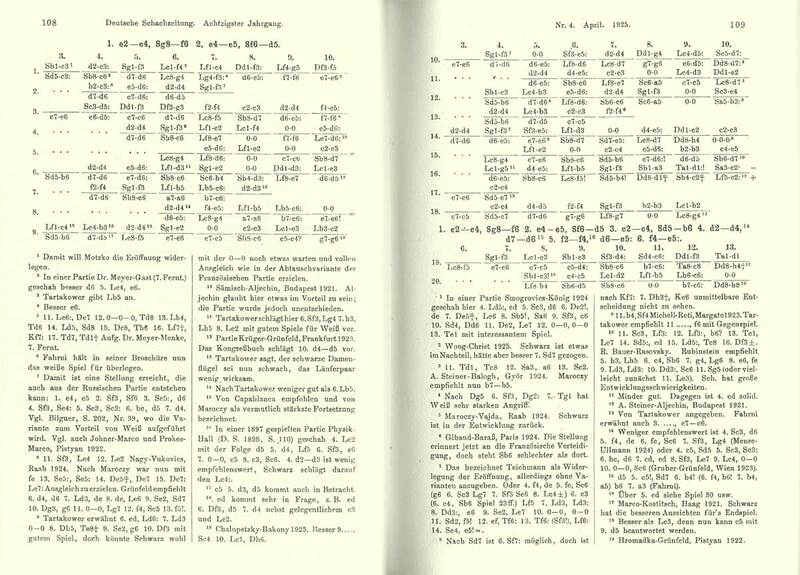 The moves were published on pages 165-167 of the November 1921 Schweizerische Schachzeitung. 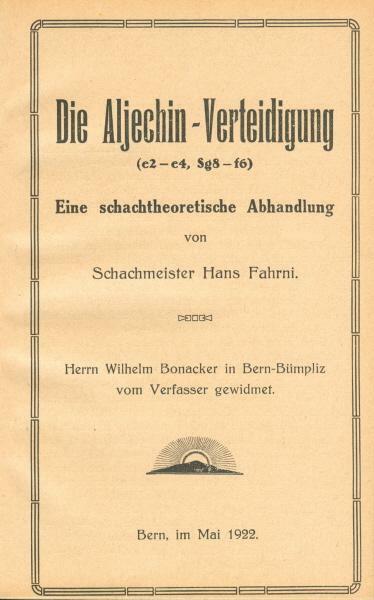 The first monograph on the opening appeared about nine months after the game: Die Aljechin-Verteidigung by Hans Fahrni (Berne, 1922). Nowadays there are innumerable books on Alekhine’s Defence, but how many of them make even a passing reference to the consultation game or to Fahrni’s book? Schweizerische Schachzeitung, December 1947, pages 204-206: ‘Zur Aljechin-Verteidigung’ by W. Henneberger. 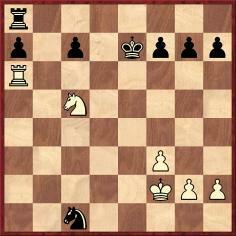 Further information on the origins of 1 e4 Nf6 is provided in our feature article Alekhine’s Defence. Edward Winter is the editor of Chess Notes, which was founded in January 1982 as "a forum for aficionados to discuss all matters relating to the Royal Pastime". 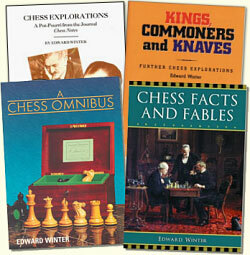 Since then, over 6,840 items have been published, and the series has resulted in four books by Winter: Chess Explorations (1996), Kings, Commoners and Knaves (1999), A Chess Omnibus (2003) and Chess Facts and Fables (2006). He is also the author of a monograph on Capablanca (1989).